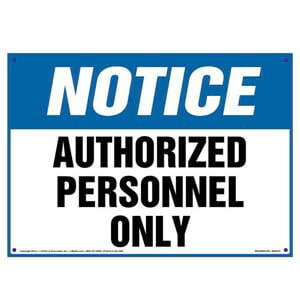 Notice sign helps prevent unauthorized personnel from entering restricted access areas. 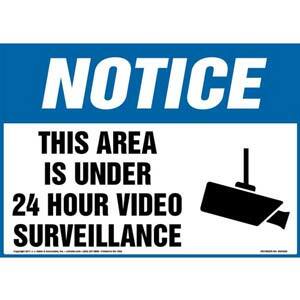 Notice sign indicates the protection of surveillance cameras in a given area. 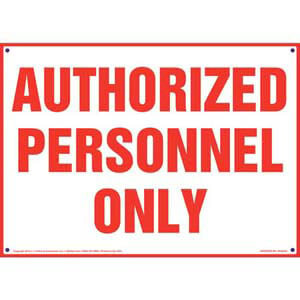 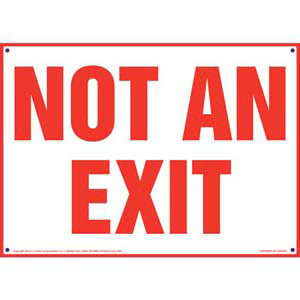 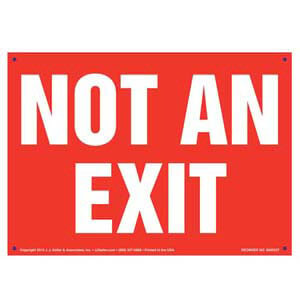 Facility signs helps prevent unauthorized personnel from entering. 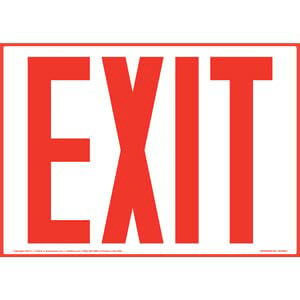 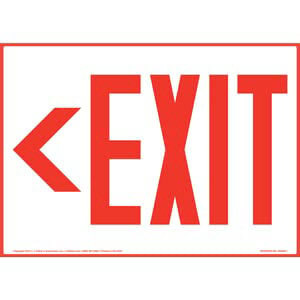 Exit signs clearly mark an egress point. 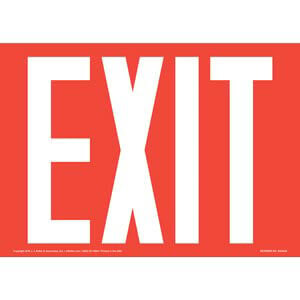 White text on red background. 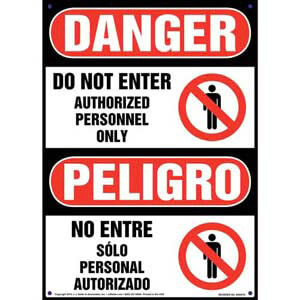 Bilingual signs (English & Spanish) help prevent unauthorized personnel from entering restricted access areas. 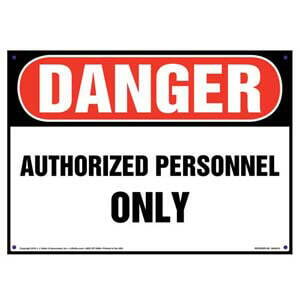 Danger sign warns that only authorized personnel may enter a designated area. 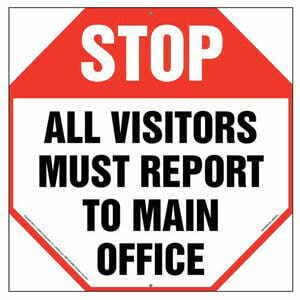 Stop sign design indicates visitors must report to main office before proceeding. 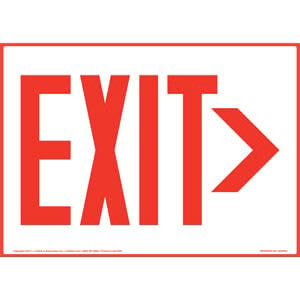 Directional sign indicates exit to the right. 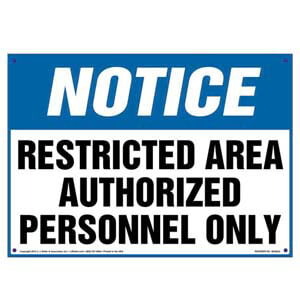 Red text on white background. 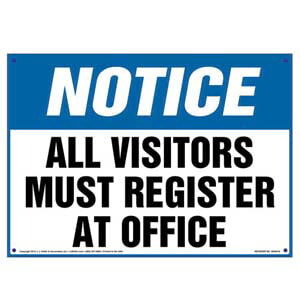 Notice sign instructs visitors to register in the office. 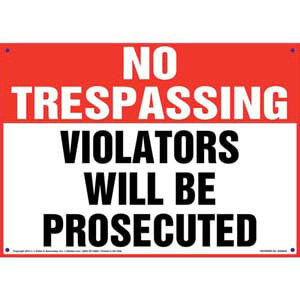 No trespassing sign warns of prosecution for those entering restricted areas.